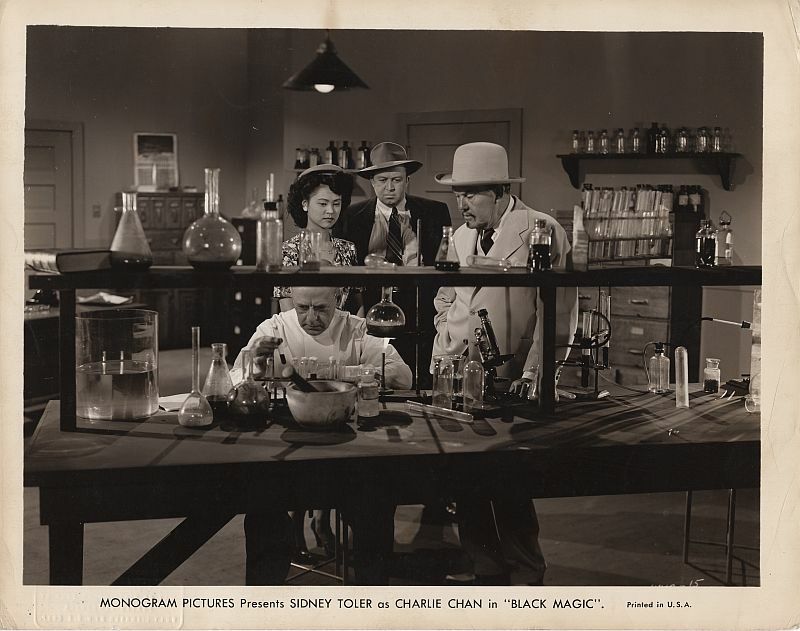 Charlie Chan, Rafferty, and Number Three Daughter, Frances, visit the police lab. 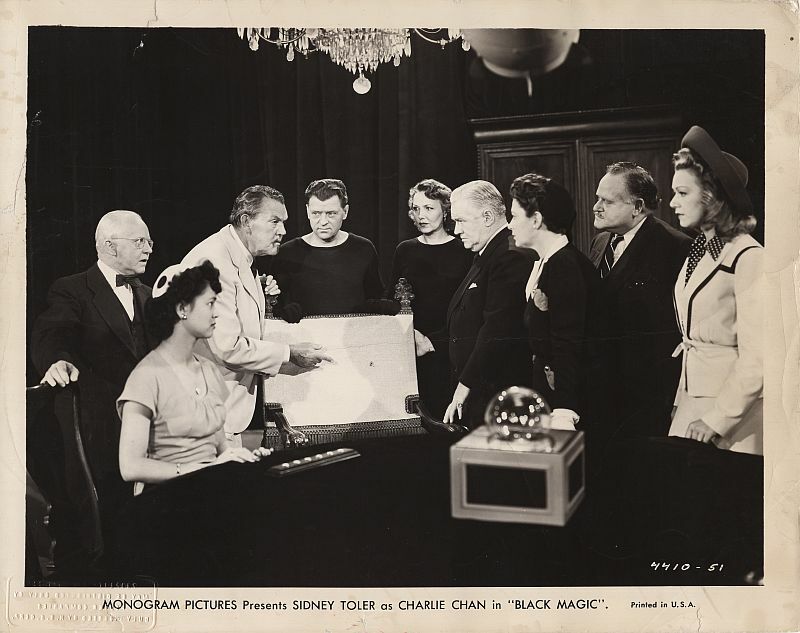 A drugged Charlie Chan is hypnotized by a mind controlling device. 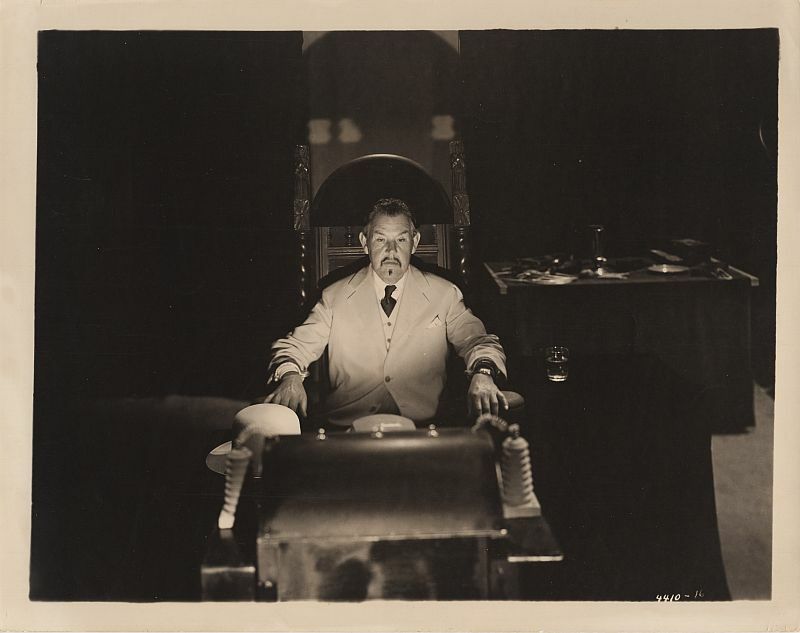 amused by the toys he has purchased for his many children. 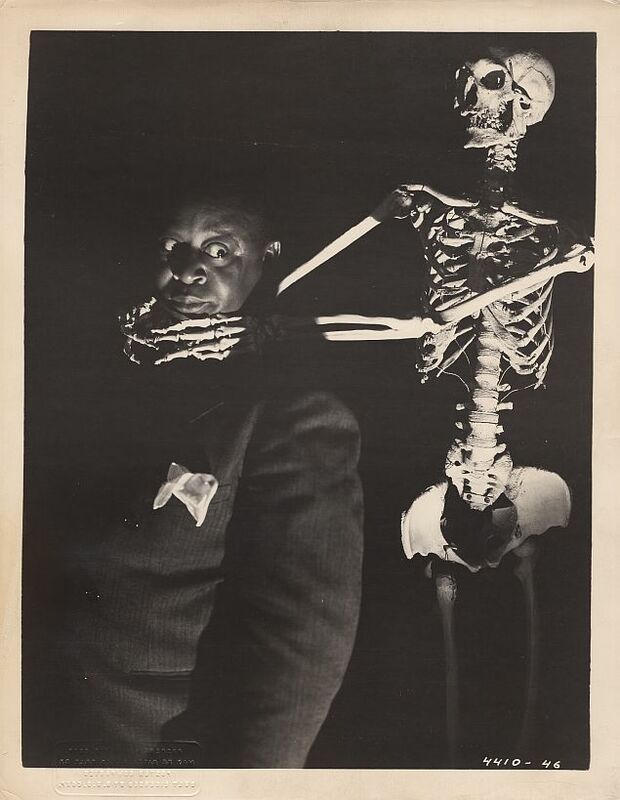 Birmingham Brown with a "friend." 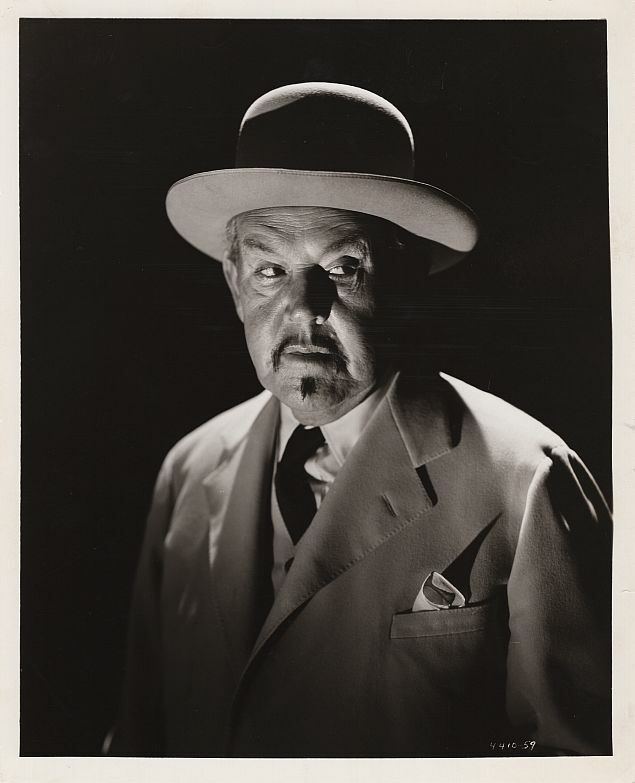 Charlie Chan reveals an important clue regarding the death of psychic William Bonner. 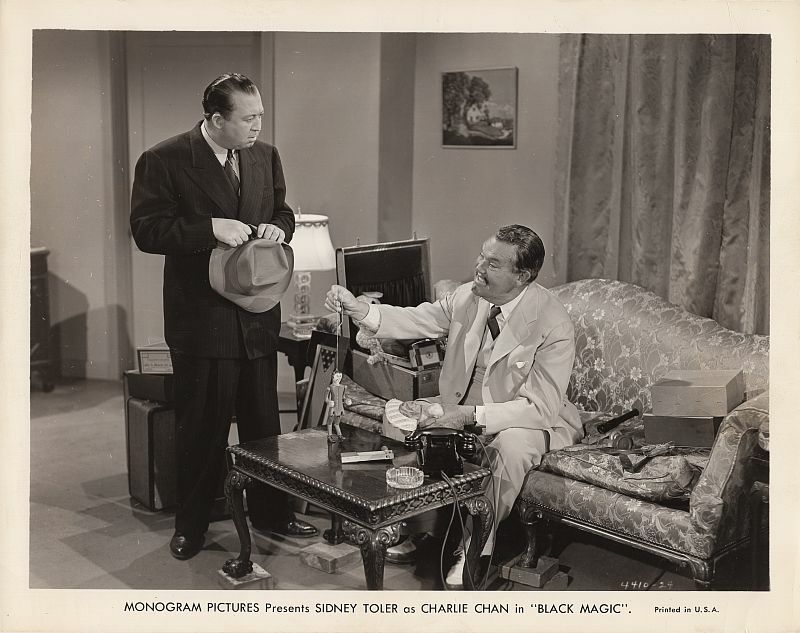 In search of information, Charlie Chan takes Sgt. Mathews and Rafferty to Edward Edwards' magicians supply. 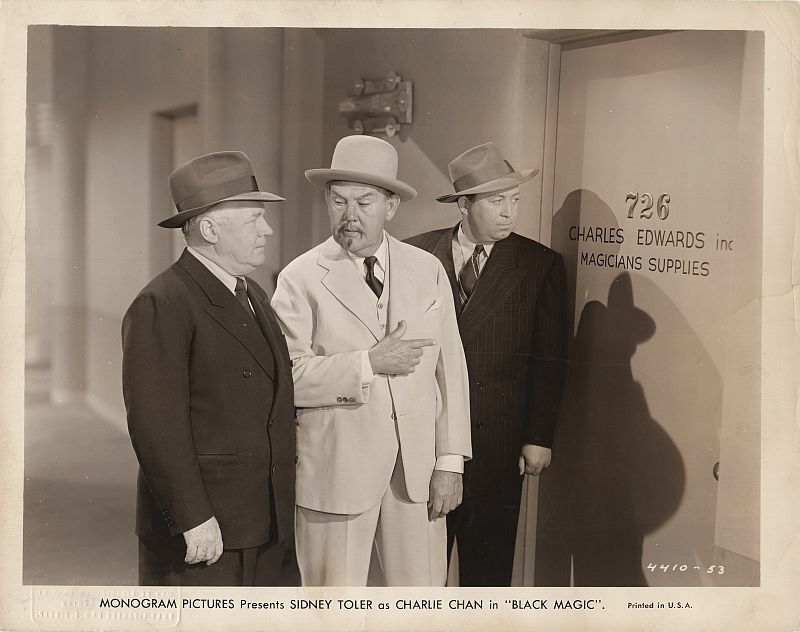 Charlie Chan and Sgt. 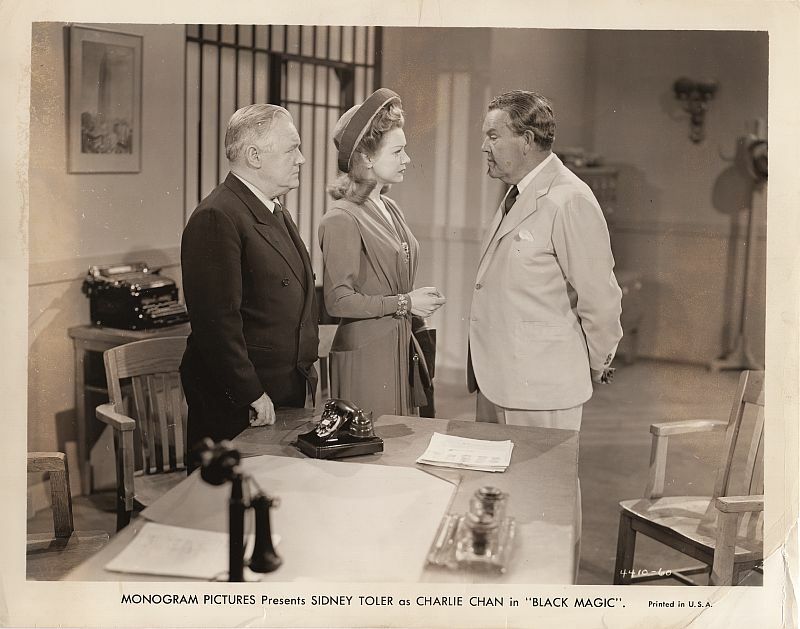 Matthews meet with Norma Duncan. 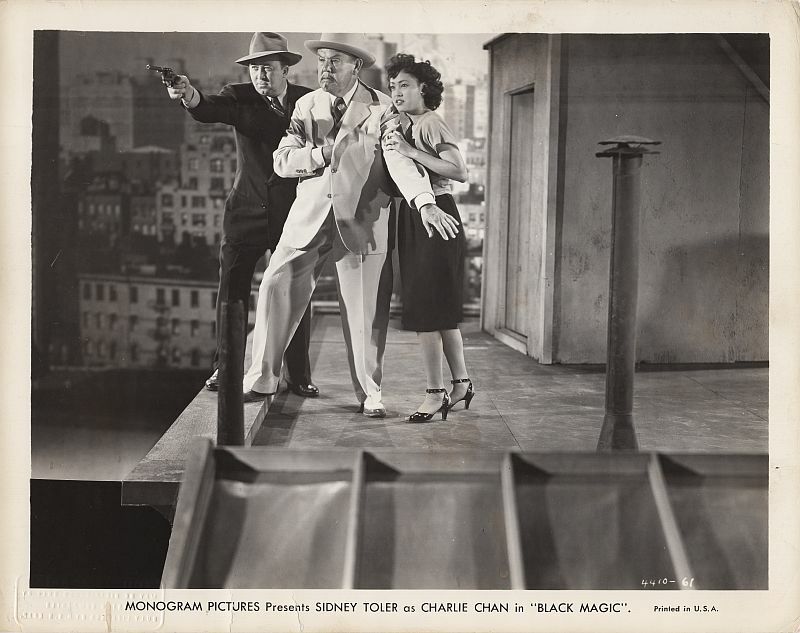 toward the source of the voice that had commanded the hypnotized detective to jump to the street below.